In the 1992 horror film, “Candyman,” almost immediately, during the mysterious and melodic opening aerial shot infused with Philip Glass’ otherworldly music, we are thrown onto a mysterious canvas. An eerie, perpetually dark world full of aphotic dogma and urban legends. We are immediately immersed in something horrifically tangible, fable like and mean. A visceral experience that takes us into a lengthy ride of terror. A kind of twisted and tenebrous version of the Bloody Mary legend. This film, brilliantly directed by Bernard Rose (Immortal Beloved), is based on a short work of horror named “The Forbidden” by author Clive Barker (Hellraiser, Books of Blood). The atmospheric story takes place in modern day Chicago. Virginia Madsen (Sideways, The Haunting in Connecticut) plays grad student Helen Lyle, who along with Kasi Lemmons (Silence of the Lambs), is writing a thesis about an urban legend called “Candyman.” The legend seems to especially thrive within the closed off, dis-enfranchised and destitute poor community of a Chicago housing complex named Cabrini Green (which no longer exists). After Helen ignores warnings and is spurned and abruptly disregarded by her Professors and husband she takes matters into her own hands and investigates the legend of Candyman herself. Mainly to prove a point. She goes willingly and bravely to the Housing project and discovers a very real, gritty and sad reality. The tenants live in absolute fear of the Candyman. What follows is an engaging tale of absolutely terrifying proportions. Director Rose takes Barker’s material and makes it work completely on many levels. Helen becomes trapped in a horrifying world where things and events that take place, she cannot remember. Murders happen around her and she suffers from severe blackouts. In these small and absorbing details are where Rose builds suspense, mood and a visceral ambiance. 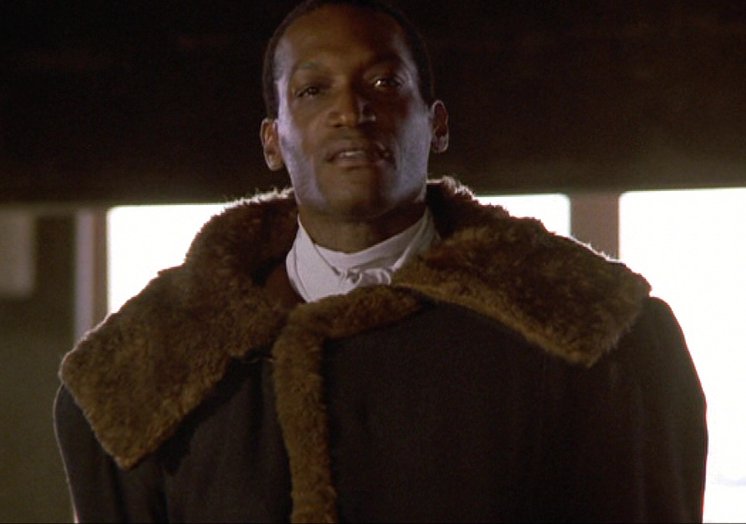 In “Candyman,” though, it is Actor Tony Todd (24, Star Trek: Deep Space Nine), in a very early film appearance, that excels here. He is tall, menacing, deadly and just plain frightening to behold. Todd’s deep voice evokes a sense of dread and hypnotic fear that chills the viewer right to the bone. It is his show all the way and Rose knows how to use him to maximum effect. He plays a deadly game of cat and mouse with Helen that ends in her being jailed and accused of multiple murders. Her estranged husband, Trevor, played by Xander Berkeley (24, Salem, Air Force One and Taken) is also convinced of her guilt. So, will Helen convince everyone around her that the real threat is some ghastly and ghostly urban legend no one but her has seen? Or will she be blamed for the horror occurring in Chicago and be put away as an insane woman trying to get negative attention? You need to fully experience “Candyman” and see for yourself! The rest of the film plays out almost like a beautifully bizarre stage play. Glass’s music is haunting and operatic. The film is shot well and tightly claustrophobic by DP Anthony B. Richmond (The Sandlot, Men of Honor). Taking full advantage of the ominous surrounding cityscape to convince us that no one is safe in this dark fable. Rose also gives us a very lush and unsettling film. It is scary, somewhat gory and alluringly told. “Candyman” also dwells upon social issues that remain quite relevant today. Rose’s film manages to provoke on many levels and in doing so solidifies it as a genuine work or horror and terror that uses great actors, costumes and music to tell it’s compelling story. One does not even have to be a fan of the horror genre since Rose’s movie transcends the genre with gleeful aplomb. Rose does this by making us care about normal, everyday people who get caught up in a myth with it’s root in poverty and fear. All in all, “Candyman” has become an instant classic and an iconic entry in not just horror cinema but in cinema period! Highly recommended and watch it with the lights on…or not! Candyman! I remember this! Nice work! Thanks man! This was fun to whip up. I appreciate you stopping by bro! Great film, Tony Todd was brilliant in this, such a spooky story. The gritty urban setting in the tower block is so menacing. One of my fave adaptations of Clive Barker’s work. Great review Vic, makes me want to see the film again! Glad you liked the review, Paul! 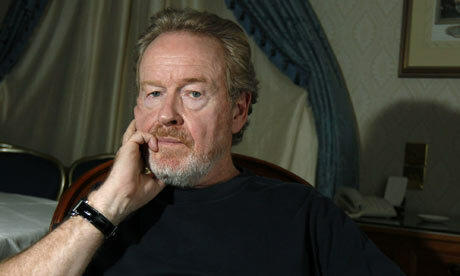 I never read the short story but I have heard many say that it was pretty well adapted. I also enjoyed the very dark urban details in the story. I thought it was very relevant to the material and how the character of Candyman was perceived in that environment. It was brilliantly done. Thanks for checking in. I appreciate it! You’re welcome, great review, will have to watch this film again soon. Its one of my fave horror films, such a good story, and great setting. Exactly! I feel that the setting played a very big role in how the film carried the story and helped to fulfill the character arcs that played out. Say it five times Vic! So many great things about this movie, I could argue that this is is Barker’s best adaptation to film. Todd played a fantastic role as Candyman as well as Madsen. 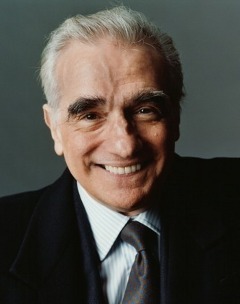 It’s rare, in a lower budgeted film, that you get a character potrayed so well, nevermind two. I must agree there with you, Michael. Besides Todd, who had the meatier role (no pun intended), Rose got Madsen to really shine opposite him as well. She really grounded the role and used a very strong performance to get us to really care for her and how she dealt first hand with Candyman and the entire legend and the gritty setting. I am very intrigued, now, by the short story. I may seek it out. Thanks for checking in, Mike! Oh my god, this film gave me so many nightmares as a kid. I’m glad to hear it still holds up even after all these years. I’m still too chicken to watch it again though! Nice to see a review of this. I caught it at the cinema when it came out…I’ve never actually tried the five times thing! Neither have I, lol! I don’t dare. 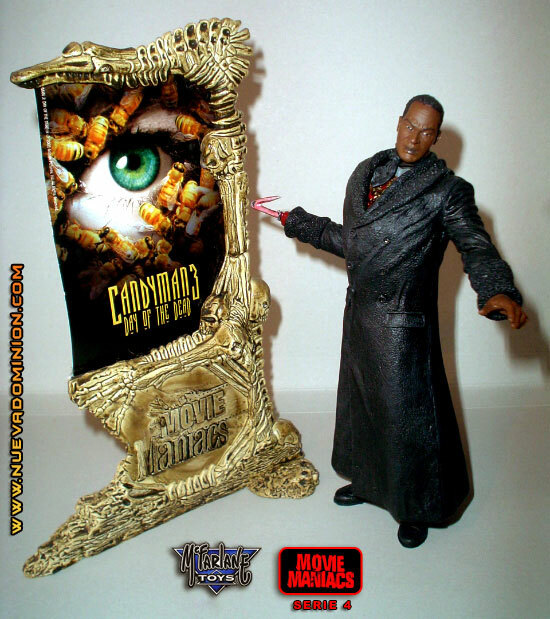 i also caught Candyman in the theaters as well. Loved the experience. It was such a chilling time and the film is so beautiful and dark. I appreciate the comment! Thanks for checking in. I appreciate it! Fantastic movie! And it definitely holds up thanks to great characters in a great story. Another excellent and insightful review! It does hold up, no? 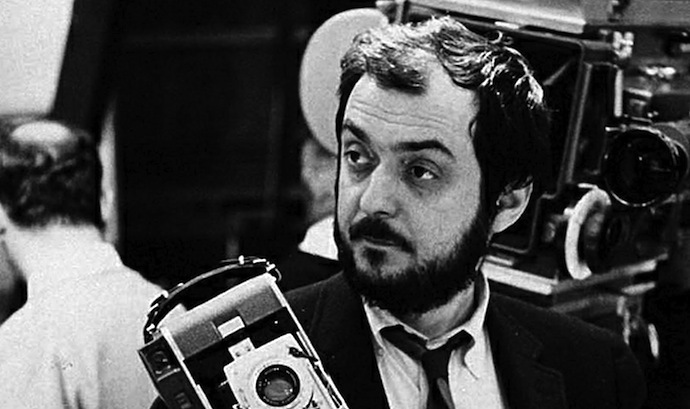 Barker’s story is quite unique, too, But Rose’s vision for the film has remained fresh and bold until this day. Thanks for checking in, Bill and I’m glad you liked the review. I appreciate the kind words. Always great to hear from you, man! 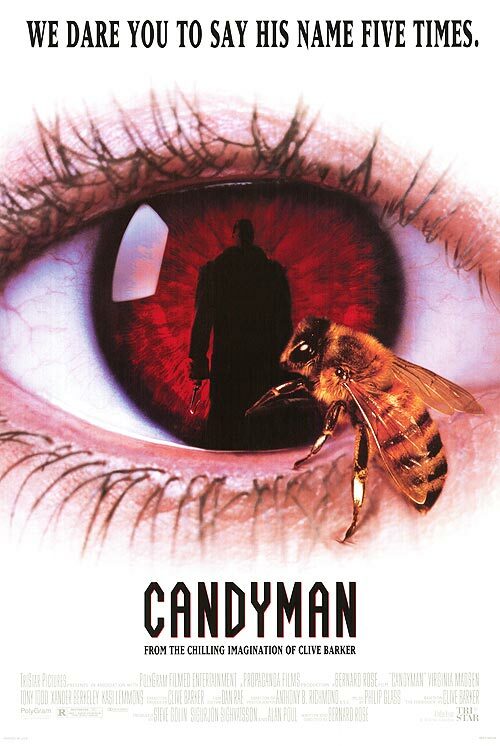 I love Candyman! The Barker book was set in Liverpool! It was? Ah. Did not know that. Never got around to the short story. But I did have a feeling that it probably did not take place in the States but in the UK somewhere. Glad you like the film so much. I do as well. Thanks for stopping by. I appreciate it! Tony Todd is the real star here, but I loved the urban setting in the projects. It added a whole new level to the film and probably scared a lot of people that had never been in low-income areas all by itself. I always recall that scene where Madsen and Kasi Lemmons enter Cabrini Green and feeling so scared for them that they were going to get assaulted or hurt and the dynamics of the movie represent that fear of not only an urban legend like Candyman but of the low income urban setting that many already have notions about. The film encapsulates all of those disparities very well. Thanks for stopping by, Maurice. Always nice to hear from you! This looks awesome and I have no idea why I never viewed it! Not only is this remarkable due to having the first African American on-screen serial killer but…Tony Todd himself is quite impressive in his own right. And an urban setting is so much more unique than a typical forest! You must check this one out very soon, Louie! Such a good movie. I envy you for not ever having seen it. It is going to be an incredible experience for you. Let me know when you finally get around to it. I hope you like it, man! Thanks for stopping by, I appreciate it, bro! I am not a huge horror fan, but this movie was much more clever than most . A genuine quality horror movie. Nice review man! I stopped up to watch this when I was around 10 with a friend and it scared the hell out of us haha. Haven’t watching it since but wouldn’t go anywhere near a mirror for ages. Will have to check it out again some time! Another poignant review of a great horror!